Shipping union RMT has confirmed that it has written to Scotland’s First Minister Nicola Sturgeon warning of the dire consequences for Orkney’s life-line ferry services both in terms of service delivery and the impact on industrial relations of decades of cuts which will come to a head with a £1.6 million deficit on the budget this year. “I am writing to you to spell out the damaging effect that the Scottish Government’s policies are having on RMT members who work on Orkney Ferries, where my union is recognised for collective bargaining purposes. “For the last five years, RMT has been repeatedly warning your Government of the dangers to our members’ terms and conditions from a perfect storm of aging vessels, aging crew and historic funding shortfalls on council-run Orkney Ferries. We are now approaching the very real prospect of service and job cuts, as a direct result of the Scottish Government’s failure to properly fund these lifeline ferry services for Orcadians. The union has pointed out that a £1.6 million shortfall on funding of the services comes on top of thirty years of under-resourcing and has left the aging fleet in dire need of investment and upgrading and threatens both the viability of the service now and into the future and the jobs, terms and conditions of the ferry crew. “For too long the Scottish Government have buried their heads in the sand when it comes to investment and resourcing of the life-line Orkney Ferry services and things have now come to a head as the toxic combination of factors threatens the very viability of the operation and the livelihoods of the staff who deliver it. 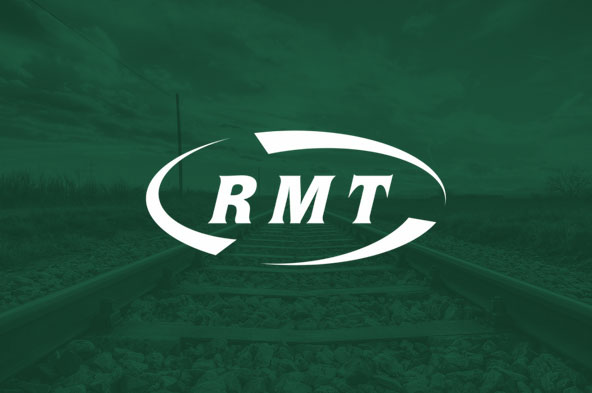 “RMT is demanding that the budget shortfall is addressed immediately and that the union is consulted on a serious plan for the future that faces up to the reality of decades of underinvestment. I am writing to you to spell out the damaging effect that the Scottish Government’s policies are having on RMT members who work on Orkney Ferries, where my union is recognised for collective bargaining purposes. For the last five years, RMT has been repeatedly warning your Government of the dangers to our members’ terms and conditions from a perfect storm of aging vessels, aging crew and historic funding shortfalls on council-run Orkney Ferries. We are now approaching the very real prospect of service and job cuts, as a direct result of the Scottish Government’s failure to properly fund these lifeline ferry services for Orcadians. As you would expect, any threat to RMT members’ jobs on Orkney Ferries will be fiercely resisted. We will continue to make this clear to the employer and we are now making it clear to the Scottish Government, as your administration’s policies have played a direct role in creating these avoidable industrial circumstances. The Scottish Government’s 2019-20 Budget provided £5.2 million to Orkney Ferries via OIC, the same amount as in 2018-19. I understand that the local council needs £6.8 million, taking inflation into account, just to maintain current service levels and is currently using up their reserves at a rate that is outstripping revenues. The recently announced three per cent fare rise will also make little impact on this shortfall. It is quite incredible that the average annual funding gap for Orkney Ferries inter-island services is £1.5m for the last thirty years, yet the amount required to fill that gap this year (£1.6m) was not filled by the recent Scottish Government Budget. This historic under investment is also reflected in the average age of the Orkney Ferries fleet, also thirty years. For the larger vessels, covered by the RMT’s recognition agreement, no new ferry has been introduced by Orkney Ferries since 1990. Unsurprisingly, the fleet maintenance budget is rising and essential infrastructure work and seafarer training programmes have also been effectively abandoned by the employer in the face of this constant deficit. There are also serious safety and accessibility issues on such an aging fleet which are not being addressed. This is a mess that has been a long time in the making but should have been sorted out by now. I repeat that RMT will fight tooth and nail any material changes to Orkney Ferry’s services which would impact negatively on our members. Your Government prides itself on consulting and supporting remote island communities over the effects of legislation from Holyrood, as demonstrated in the Islands (Scotland) Act 2018. The long-standing problems at Orkney Ferries tell a different story – one of procrastination and indecision which is now threatening the future livelihoods of RMT members and Orcadian communities. We must have an acceptable resolution to the long-standing funding problems at Orkney Ferries that prevents any negative effects on RMT members in the company. The Scottish Government has the power to resolve the funding shortfall and I strongly urge you to instruct the relevant Minister to take the appropriate action as a matter of urgency in order to prevent any cuts to jobs or services at Orkney Ferries.